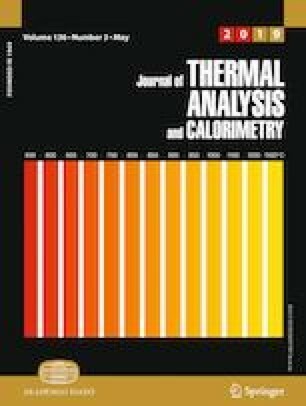 The morphology, isothermal crystallization and melting behaviour of melt-mixed nylon 6,6/Vectra A950 liquid crystalline polymer (LCP) blends were investigated. The blends formed an immiscible system for all compositions, and the inclusion of LCP, especially at low content, accelerated the bulk crystallization rate of the matrix. The addition of LCP was also found to decrease the crystallite size in the growth direction. The effect of thermal history on the triple melting behaviour and the equilibrium melting temperature was discussed. The equilibrium meting temperature was determined to be lower in the blends. Lauritzen-Hoffman analysis on the crystallization data revealed an apparent regime I to II transition in all the samples. The blends showed lower fold surface energy and work of chain folding as compared to nylon 6,6. The online version of this article ( https://doi.org/10.1007/s10973-018-7733-6) contains supplementary material, which is available to authorized users.